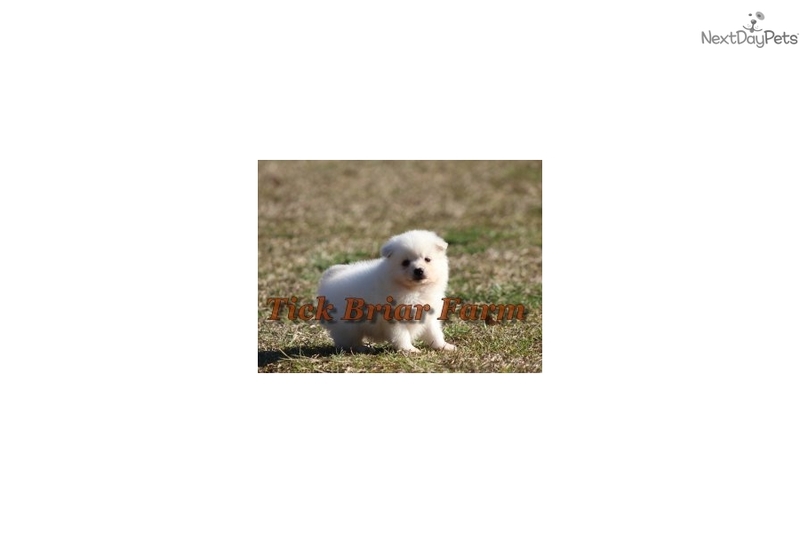 This American Eskimo Dog nicknamed Rascal sold and went to a new family. ************************************************** PLEASE SEE OUR WEBSITE: TICKBRIARFARM.COM. ************************************************** WE ARE LOCATED BETWEEN GREENVILLE AND LAURENS SC. ************************************************** These little ones were born on December 13th and are CKC Registered. They are currently on their worming schedule. They have received their first 5 way puppy shot and are now ready for their new homes. 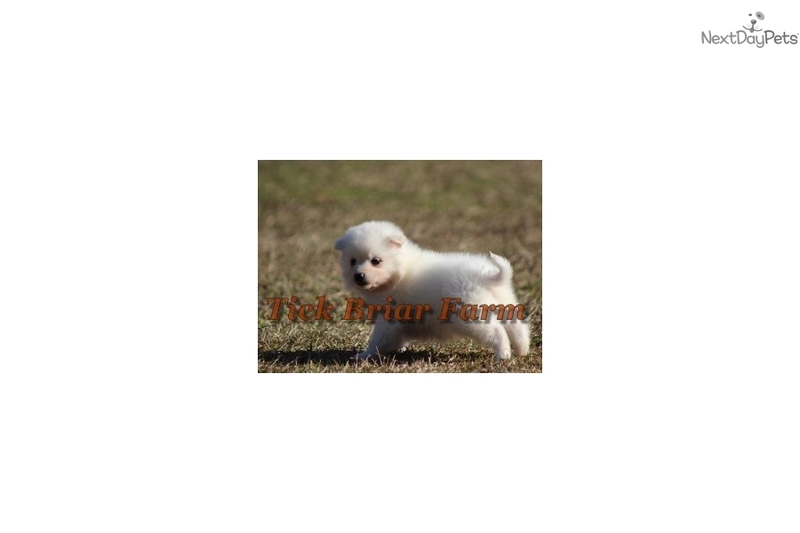 Deposits to hold the puppy for you can be made at any time through our website: TICKBRIARFARM.COM. 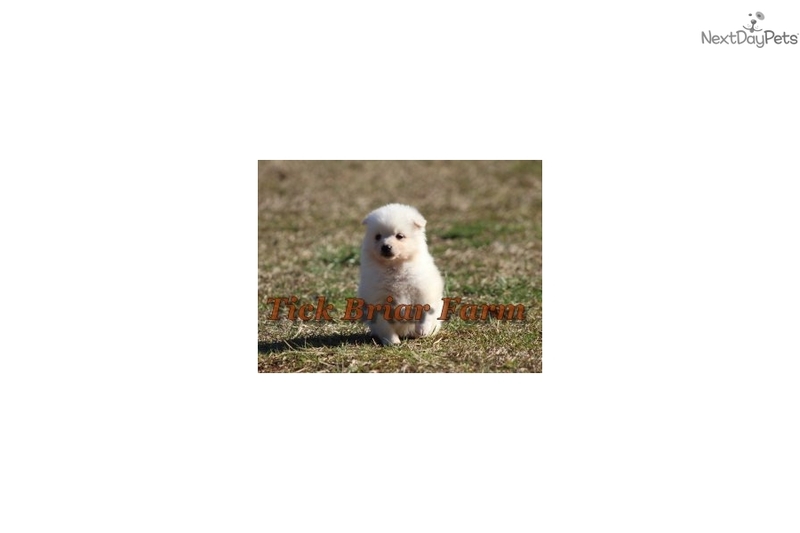 The deposit is only $100 and comes off the total price of the puppy. Please TEXT questions anytime to: 864-386-2319. Thank you.